We welcome guest posts from UC students and staff. 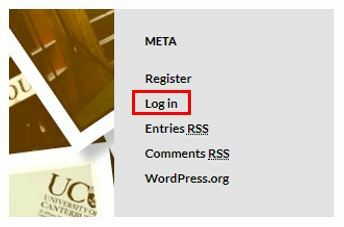 If you’d like to contribute content to the Insider’s Guide to UC, please login from the bottom left hand side of this page, using your staff/student username and password. Submissions need to follow the Insider’s Guide User Guidelines. If you have any questions, drop us a line at communications@canterbury.ac.nz. Thanks – we can’t wait to read your submission!